Shady Characters is miscellany, books, and more from Keith Houston. Here you’ll find unusual marks of punctuation, books and book history, and everything in between. Before its ascent to accidental stardom, the ‘@’ went almost unremarked for centuries. Widely used to mean ‘at the rate of’1 — for example, ‘3 apples @ $1’ is equivalent to ‘3 apples at $1 each’ — the symbol lived out a useful but mundane existence in the world of commerce, rarely warranting a second glance from paleographers or philologists. Even now, when it has been propelled firmly into the limelight by email’s meteoric rise, credible accounts of the symbol’s visual appearance and meaning remain surprisingly thin on the ground. Like the ampersand, the ‘@’ symbol is not strictly a mark of punctuation; rather, it is a logogram or grammalogue, a shorthand for the word ‘at’. Even so, it is as much a staple of modern communication as the semicolon or exclamation mark, punctuating email addresses and announcing Twitter usernames. Unlike the ampersand, though, whose journey to the top took two millennia of steady perseverance, the at symbol’s current fame is quite accidental. It can, in fact, be traced to the single stroke of a key made almost exactly four decades ago. You are viewing a series of posts about The @-symbol. Erudite, playful, and illuminating…a splendid, challenging mixture of information and fun. 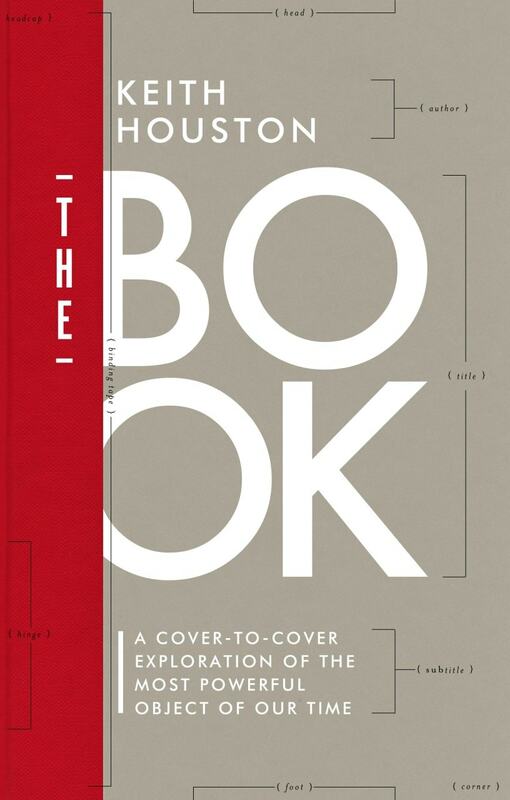 Hundreds of books about books have been published during the past century…I will not claim that this one is the very best of all time. Yet The Book is possibly the best of our time. 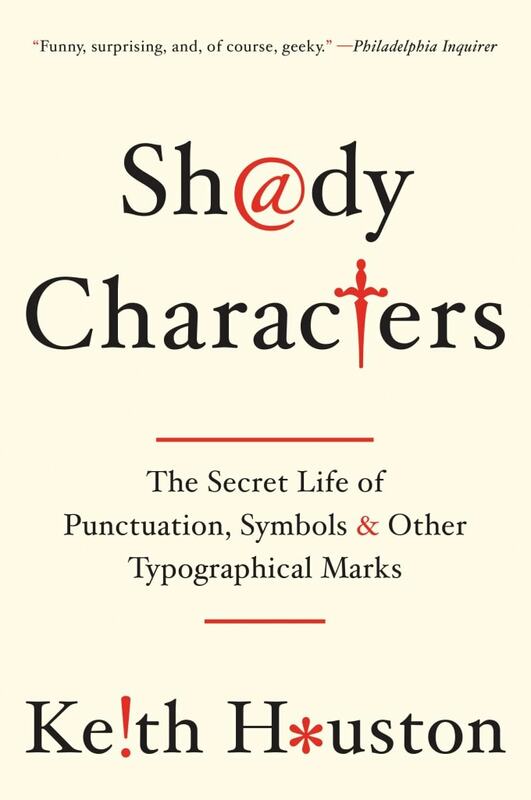 Shady Characters paperback (W. W. Norton, 2014). Punctuation is not a mere ornament or a curiosity — it is essential, and we need to know about it. Keith Houston’s history is entertaining and readable. Scholarly, highly readable and, on some deeper level, slightly deranged.